What seems like a complete age ago, on Black Friday, I treated myself to the Extrava-Glam-Za makeup set from Soap & Glory. Over the past few weeks I’ve been using it and I’m pretty impressed. 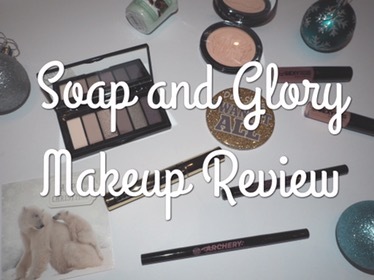 I already knew I loved soap and glory lip glosses. Some people complain about their slightly overpowering sweet scent and say they’re sticky but I don’t agree. The scent is like chocolate orange, and who doesn’t love that smell? The shades I got in this set were brilliant – one is a really soft pink shade, perfect for everyday and the other is a berry colour which is nice for Autumn/Winter. The glosses tingle a little on application as they are supposed to plump your lips. The shades in this palette are gorgeous – loads of smokey eye staples with some vibrant purples and silvers too. I think my favourite is the gold for a perfect party eye. This palette is small enough to go in your clutch bag too, bonus! I was a little worried this would be too dark for me as I have blonde hair, but it’s actually a really nice shade and doesn’t come out too harsh. I found it was long lasting and gave a bold but fairly natural look to my brows. I’m not usually one to use a liquid/pen eyeliner, opting for a kohl pencil instead, but this was really nice and foolproof to use as well (great for a liquid eyeliner novice like me). It was quite hard wearing too and lasted ages! The only thing I didn’t like about this mascara was how hard it was to photograph(!) but in all seriousness, this is a fantastic mascara. 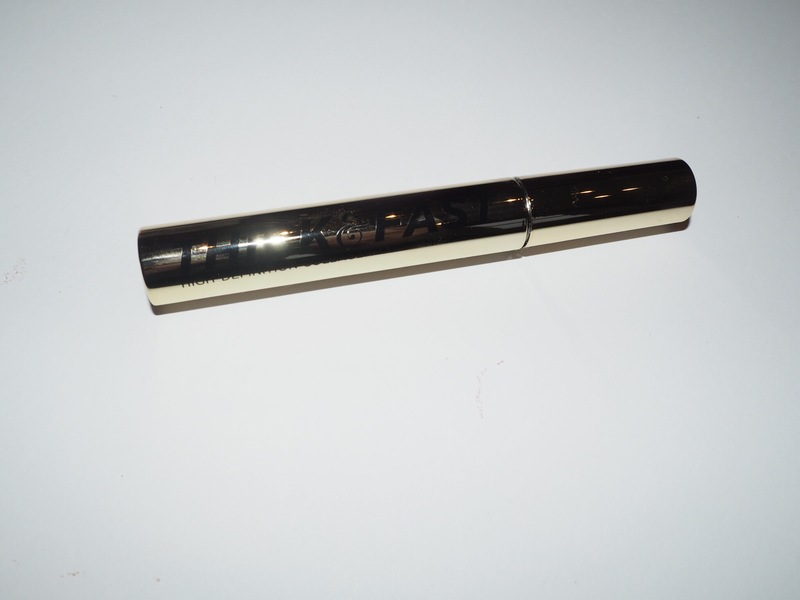 It gives just the right thickness without becoming clumpy and it is nice and dark. 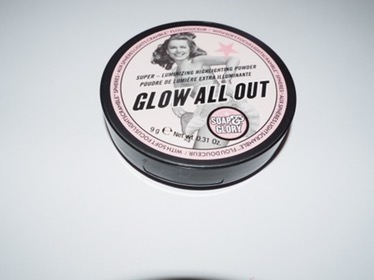 This powder doubles up as a highlighter as it has a nice subtle glow to it, which can be built up or toned down, taking you from day to night easily. It gave me a really nice glow and hid the fact that I hadn’t slept for days! Did you get the Extrava-Glam-Za set whilst it was on offer? 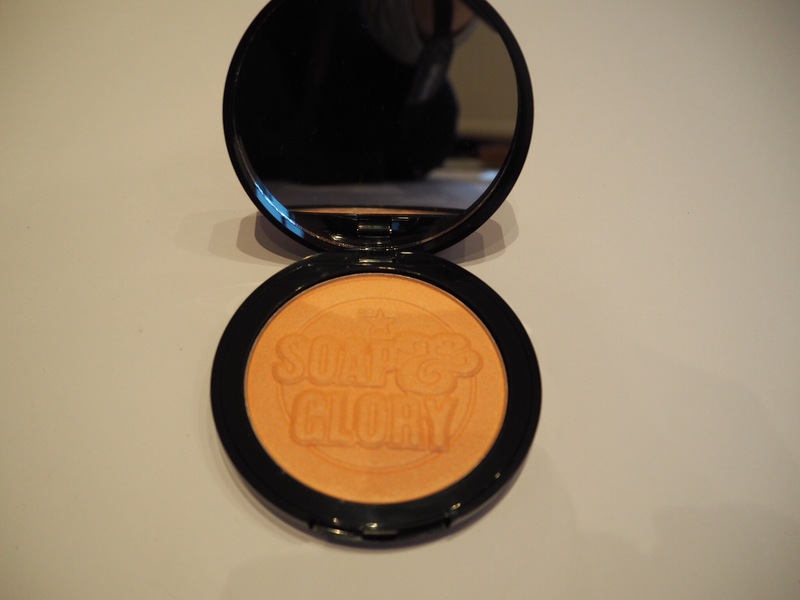 Are you a fan of Soap & Glory makeup?